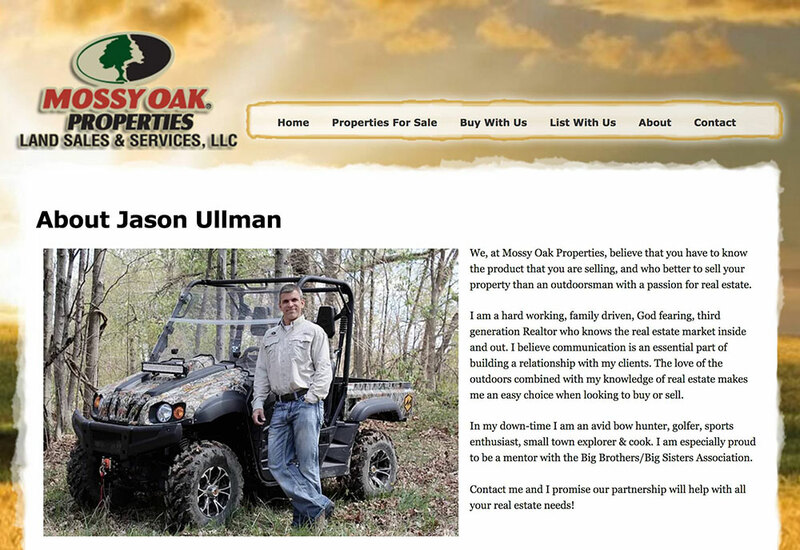 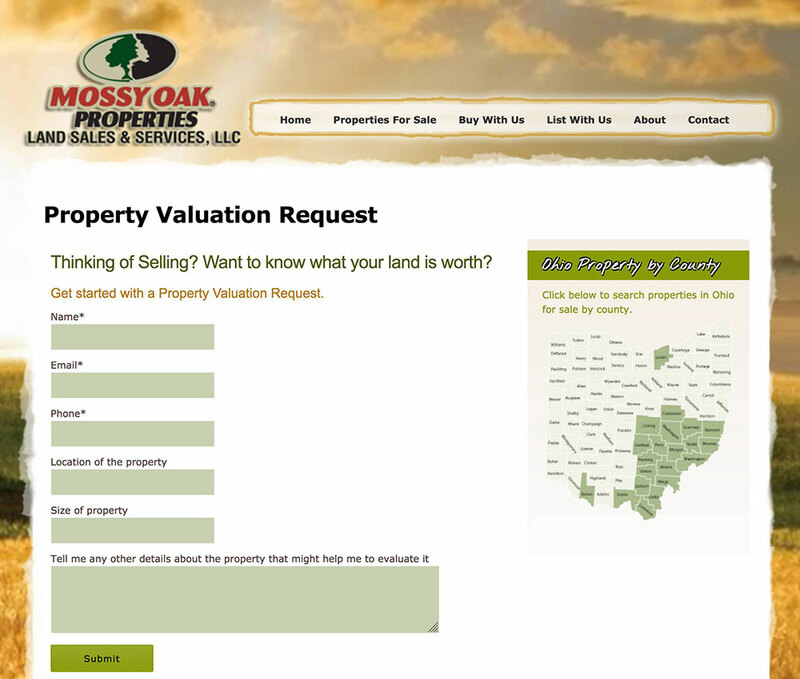 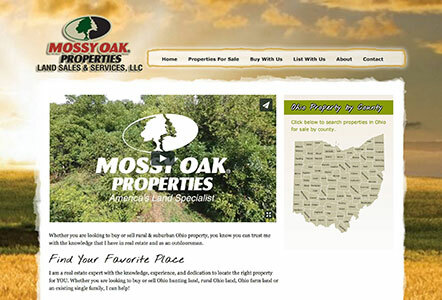 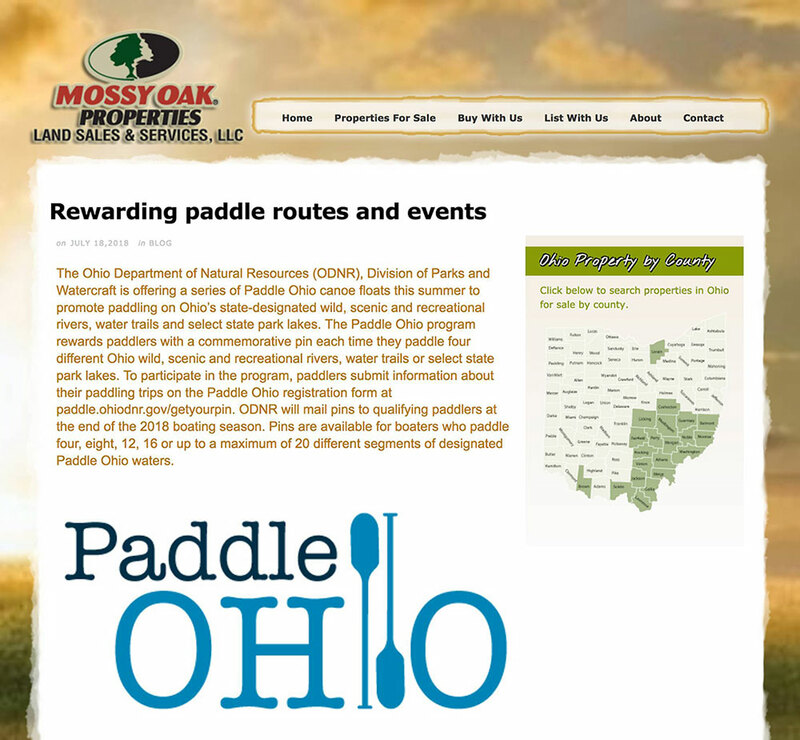 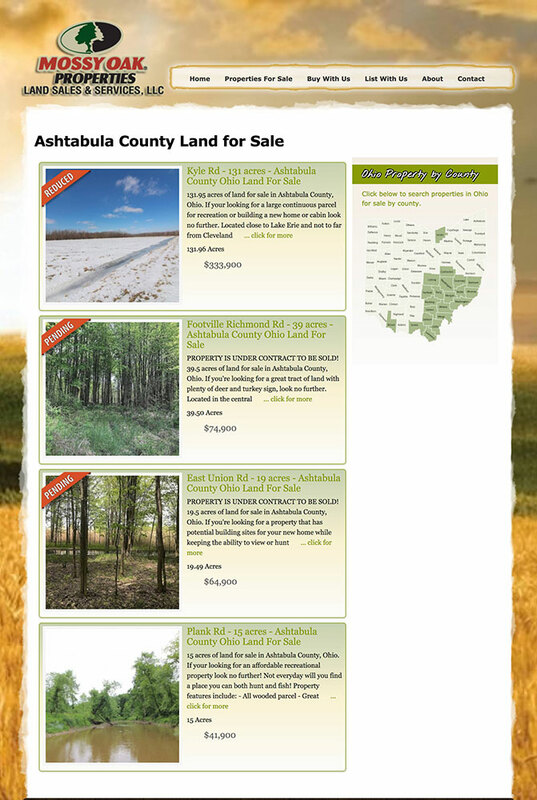 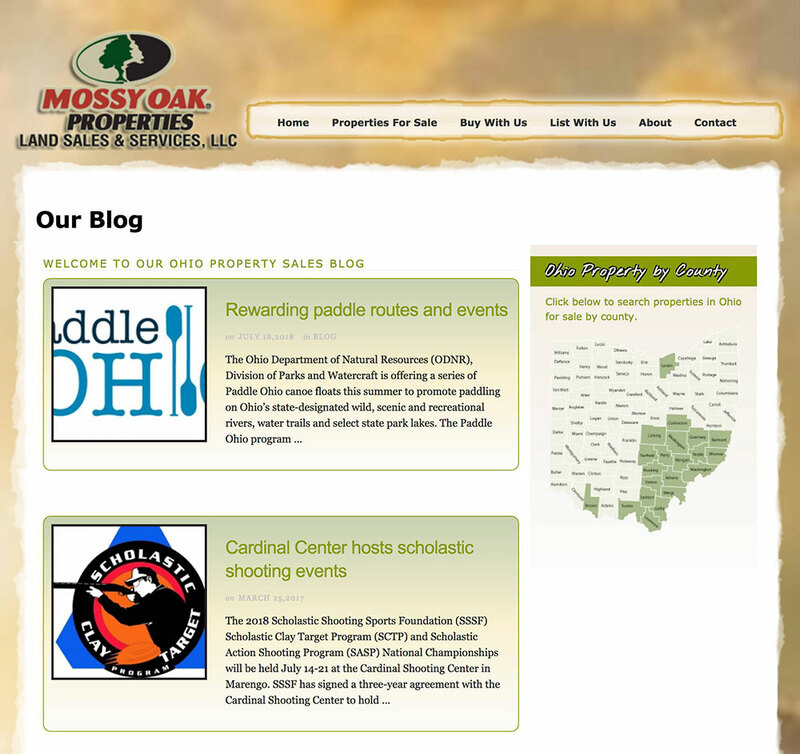 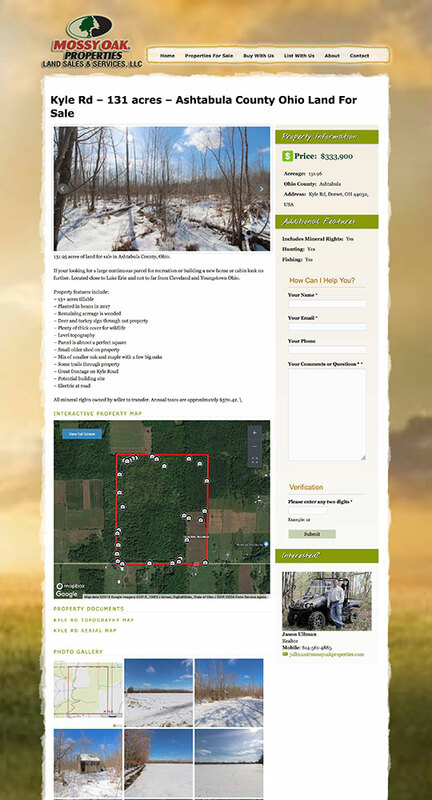 This website was developed as the agent site of the broker site for Mossy Oak Properties Land Sales & Services in Ohio. 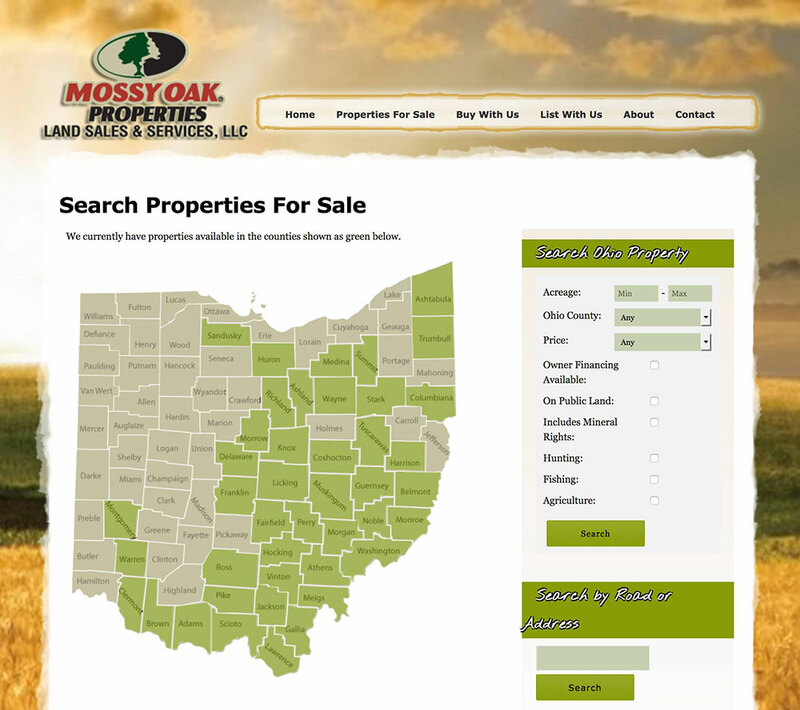 The broker site feeds all properties, documents, images, and blog posts down to the agent site enabling the agent to take more control over their own marketing. 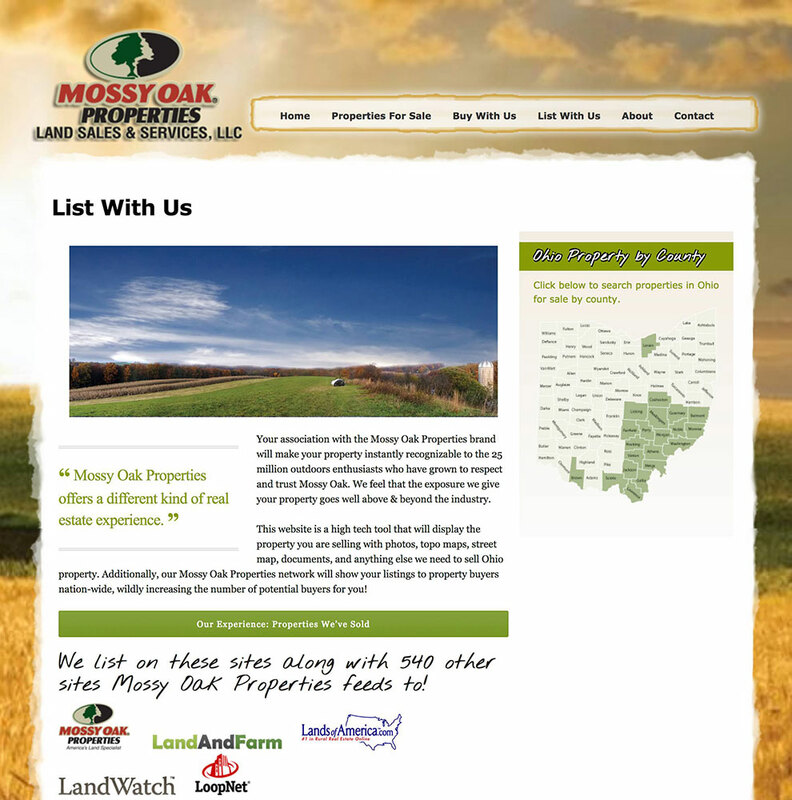 The agent’s contact information is featured on the site, and all contact forms go directly to the agent so the agent can take more control of the leads and follow up. 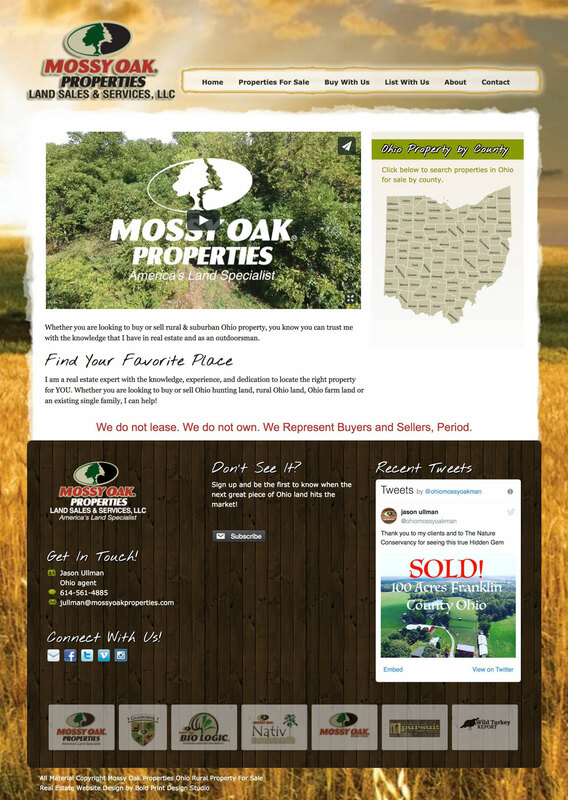 The parent brokerage benefits because it helps spread their reach with their marketing and listings, and it empowers the agents to take more control of their sales. 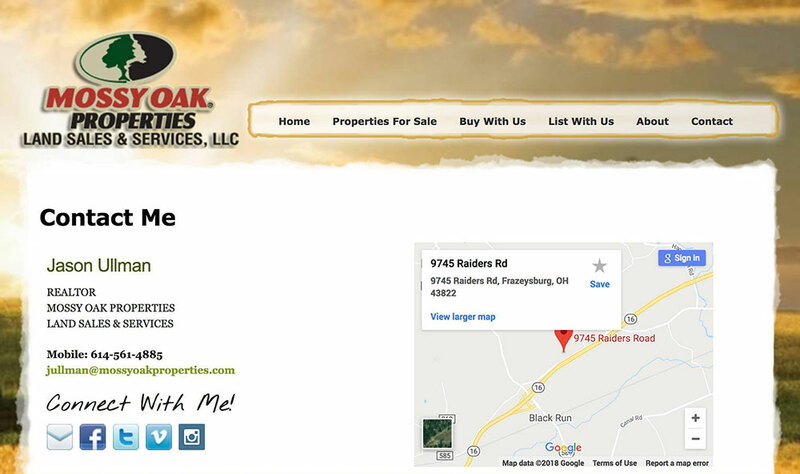 Everything is performed automatically so that the agent does nothing and the site is updated nightly.